Once upon a time, in a faraway land [that would be Morocco], through a forest of tall, lanky palm trees, there lay a little grey house that fell from the sky. Gourd-headed miniature “people” tended to the organic garden nearby. Past the sunflower forest, under the bougainvillea archway, you’ll discover an oasis [*cough* a pool *cough*] surrounded by cabanas and a curious gigantic-sized papier-mâché sheep. 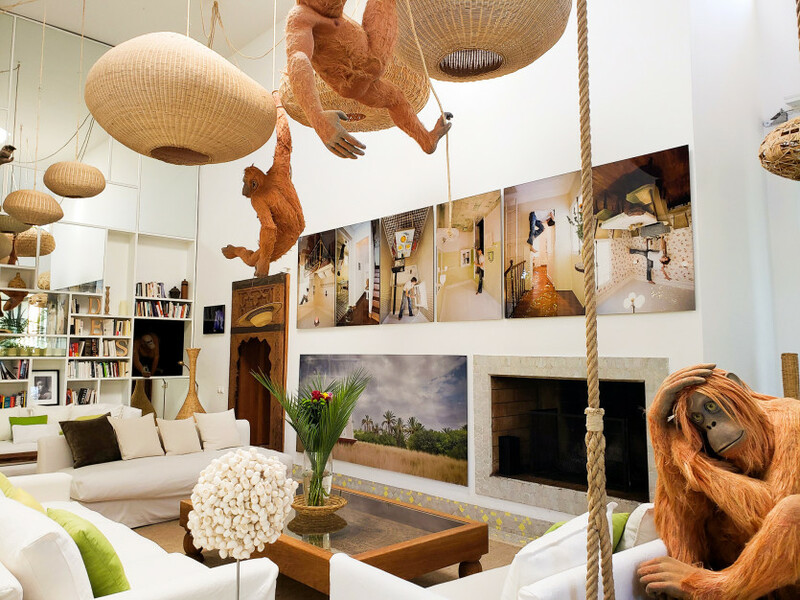 Breakfast is served under a nosy giraffe in the dining room, and curling up with a book in the library is never lonely when you have swinging monkeys from the ceiling. 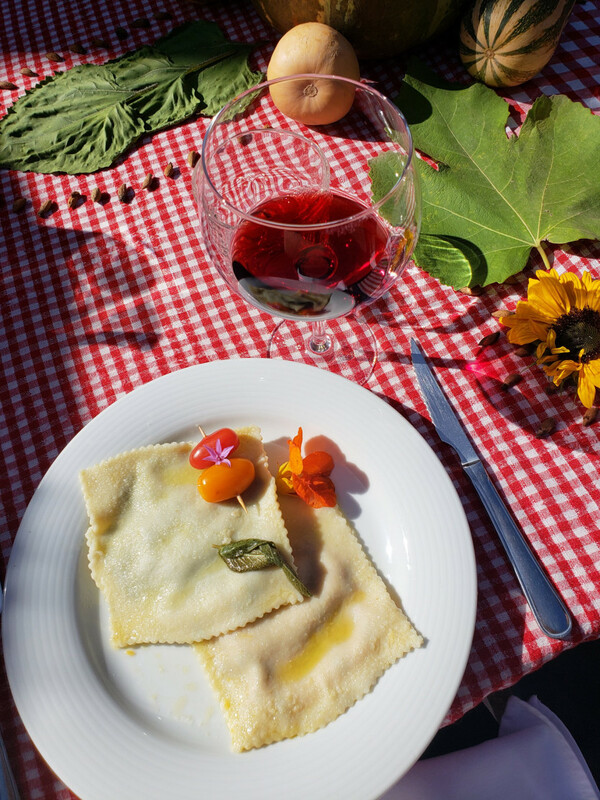 A giant appetite can only be satiated outside the Giant’s House, “La Maison du Géant,” with giant-sized ravioli and giant-sized glasses of Cabernet Sauvignon. This is the wonderful, crazy, luxurious world of French visual artist Jean-François Fourtou, Dar El Sadaka. And it’s like no other place you’ve ever been. 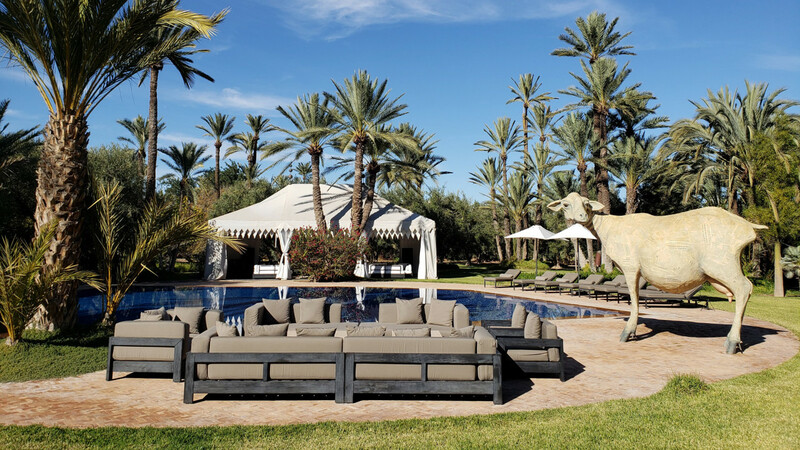 Fourtou’s private nine-bedroom, 25-acre property set in the heart of Marrakech’s prestigious Palmeraie neighborhood spares no detail in creating a luxurious “hotel” stay. I use that word sparingly, because Fourtou’s world can’t be lumped in with the rest. 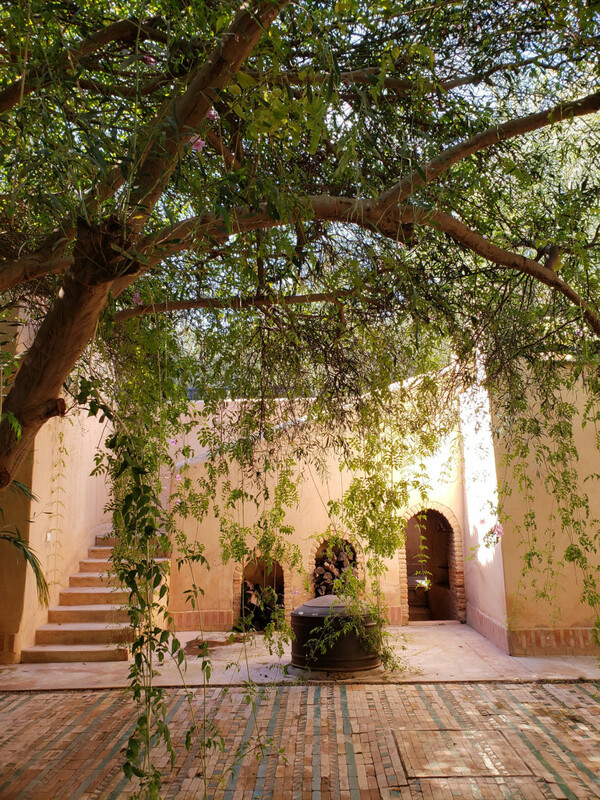 But it does offer the usual comforts—yoga studio, spa, traditional hammam, tennis court, pool, and olive hedge maze—and Moroccan hospitality with a full staff, concierge, and a chef creating traditional dishes from the veggies and herbs grown in the garden and honey from the on-site hive. 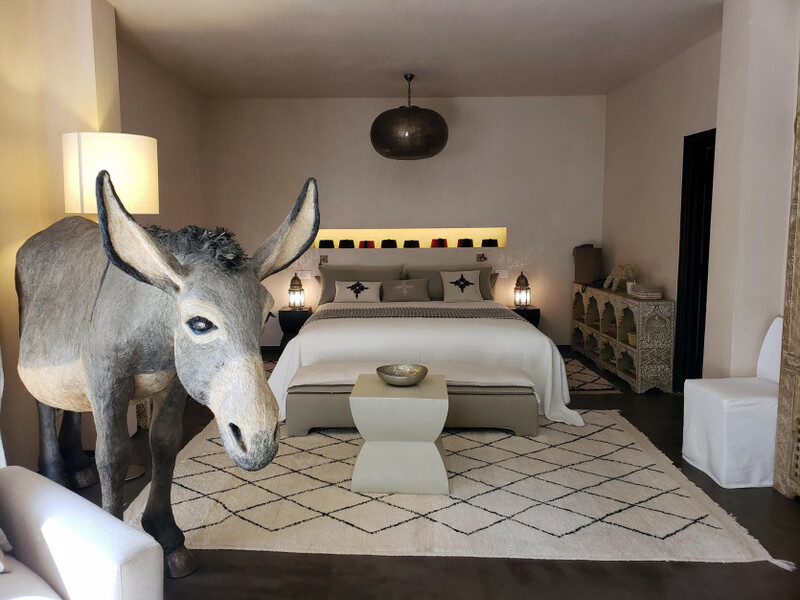 Fourtou’s creation isn’t open to the public, so the only way to stay in or see his whimsy is through the Royal Mansour’s exclusive experiences (via Insiders Experience) or to book the entire place for yourself. In the meantime, we’re giving you a peek inside, from the Afghan Hound suite to the upside-down house that will make you question your sense of gravity, and everything in between.